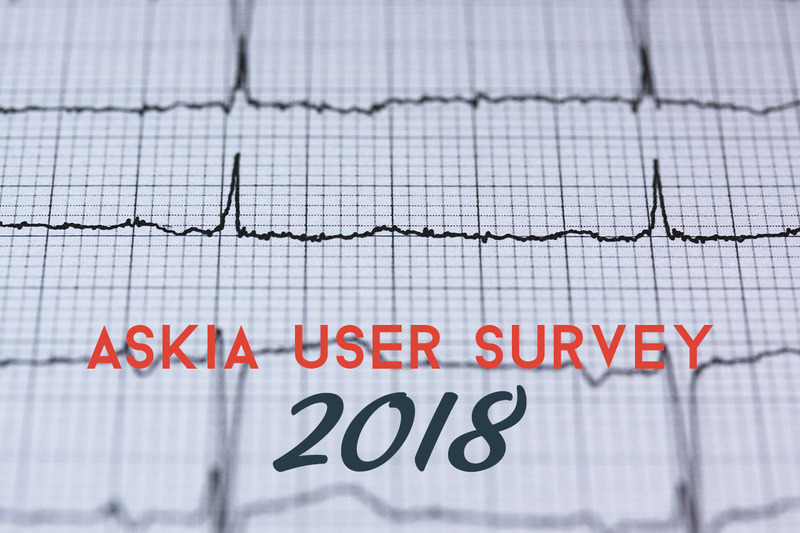 The 2018 edition of our popular Askia User Survey was mailed out this past winter. Once again, we received tons of amazing feedback. You did not hold back! Your passion came through whether you were a new user, expert user, happy user, unhappy user. We are humbled by your honesty. Trust that your feedback will be reviewed constructively and used to help you, your company, and Askia. Whether it was an appreciative nod to one of our teams, a smart suggestion for improvement, or an insightful story about your personal Askia experience, all your responses are incredibly valuable to us and help us bring the best out of our software. If you took part in the survey, we’d like to say again how thankful we are for your time. Again, your feedback is hugely valuable to us. What’s in it for you, though? We understand you will only provide feedback if we listen and then ultimately act on your feedback. 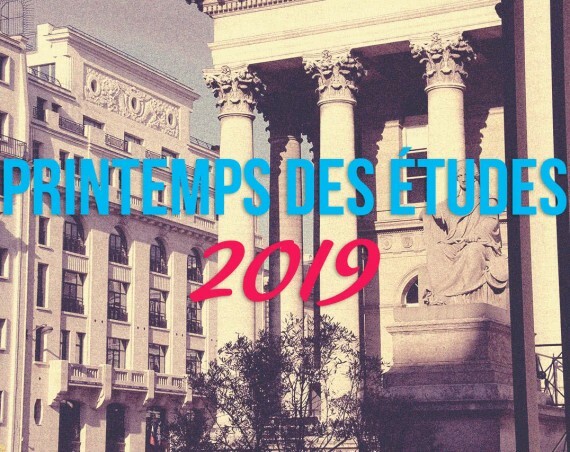 So before we get into the highlights for this year, let’s take a look back at what Askia spent time on based on your previous year’s responses. Yes, it’s true. AskiaDesign Online is currently in Alpha release. Completely revamped to include numeric quotas, native least full capability, and much more. Added an AskiaTools training, many more Help Center articles, and examples like Adaptive MaxDiff. 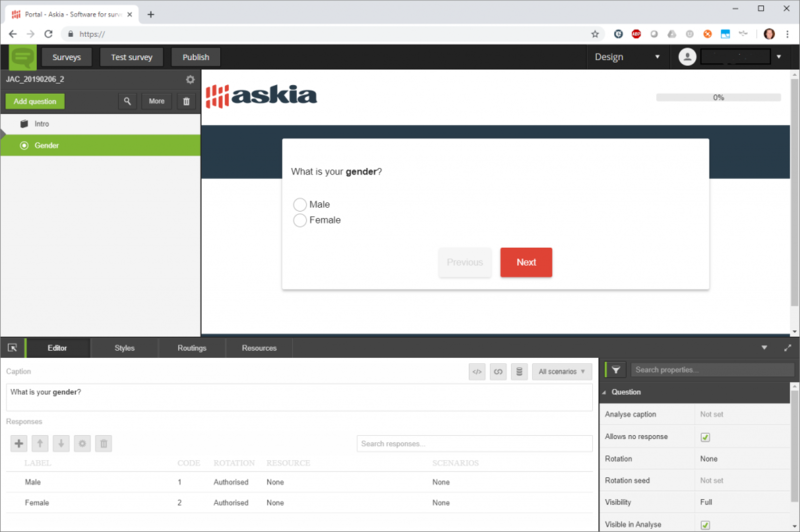 Tons of behind the scenes development work that will leapfrog us to new capabilities like Self Serve, Supervisor Online, and Centralized web-based administration for all Askia products (no more Vista 5 Admin). Iris was released late last year and connection to AskiaVista is almost complete. Many of you mentioned easy to use. This was often caveated by once you get the hang of it. This is a great example where even positive comments can suggest room for improvement! We will take this back and see how we can train and ramp up new users more quickly. We are hugely proud of our Askia Support team. But hearing what you, the users, have to say is the most important. It’s great to see that once again great technical Support staff was mentioned by many. As a company with very passionate people, it can be hard to read what users don’t like. Having said that, we understand and appreciate we can only help if we listen to your feedback: good and not so good. Several users mentioned interface is dated and locations of features not intuitive. Digging deeper into the data, this seems to correlate with users saying products are hard to use. Organizing features and having the ability to search for features easily could go a long way in addressing this feedback. What should we work on? For each product, we asked what percentage development time should be spent on possible features. We go into detail later, but here is a quick summary of the highest requested features. “Be able to define multiple routing conditions in the GUI” was the highest requested feature. “Print my answers function” was the highest requested feature. “Fieldwork monitoring” was the highest requested feature. “Continue the survey online” was the highest requested feature. “Improve open-end analysis” was the highest requested feature. “Improve overall speed” was the highest requested feature. This was your chance to mention what else you would like to see that we do not currently offer. Yes, anything! Below are the most commonly mentioned items. The good news is that we have been working on many of them. Automated portfolios creation – This is in the works. Fieldwork monitoring tool – Online Supervisor and API accessibility is in the works. We do feel our Support is a big differentiator. This is why we feel it’s important to go deeper into what makes up Support. We asked you below how satisfied you were with different Support attributes. Overall, you are satisfied, but there is one attribute that stands out. The “Documentation, Tutorials, Articles” attribute was rated lowest with regards to Support satisfaction. Looking into the comments, some users are saying documentation is generally not very user friendly or easily found. In response, we can say that investigating new tools for Askia documentation is being done. We asked you to compare Askia Support to other technical Support service providers. Much higher and Higher have again exceeded the previous years (both 2015 and 2017). We truly appreciate your time providing your thoughts, opinions, and feelings. In return, we have spent tons of time going through the data to better understand you and your experiences with Askia. Jerome closed last year’s results with the following and it’s worth saying again. Please continue to be an active part of the Askia community. We guarantee we will make it worth your time!